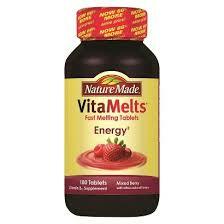 Walgreens: $1.99 Nature Made Vitamelts! If you love those tasty little Nature Made Vitamelts, make sure you print this new coupon for $3.00 off ONE (1) Nature Made VitaMelts! These are on sale at Walgreens this week for $4.99, so pay just $1.99 after coupon! *HOT* Upcoming $5/$15 Target Personal Care Coupon! Azteca Tortilla Coupon | Great Doubler!